Will it be Alexa, Google Assistant or Siri for your smart home? The smart speaker is where most of today's consumers will begin when it comes to building their smart home. Before Alexa and Google Assistant came on the scene, hubs like the Wink or Samsung SmartThings were what you needed to have your lights, locks, windows blinds and other gadgets all play nicely together. But now Amazon, Google - and to a less extent, Apple - have taken over. 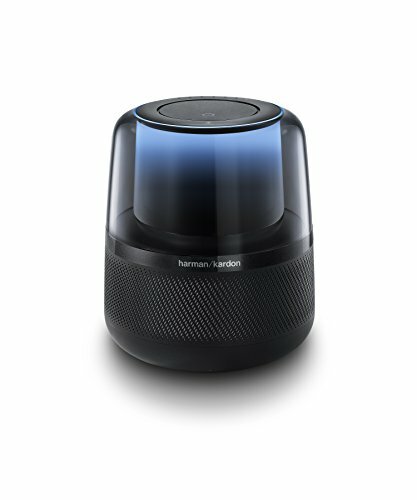 Smart speakers combine music playback, a voice assistant with artificial intelligence, and a smartphone app to create a product which answers questions, cues up playlists, plays games and tells jokes, but also adjust your lights, locks the doors, turns up the heating, waters the garden and much more besides. These speakers start at just $50, and in almost every case an increase in price exclusively means an increase in loudness and speaker quality. They also all control broadly the same selection of smart home products, such as Philips lights, Nest thermostats, August locks and Roomba vacuum cleaners. The most important question to ask yourself is, which assistant would you like to communicate with? Amazon Alexa, Google Assistant, or Apple's Siri? Alexa can already do a lot of things out of the box, but there is a catalogue of thousands of 'skills', which are like apps and enable the assistant to do much more. For example, Alexa can read out the day's news headlines and weather forecast when asked, help you with recipes in the kitchen, run several timers at once, check on your commute, read out calendar events for the day, play music from services like Amazon Prime Music and Spotify (subscription required), send text messages and make phone calls. When you introduce Alexa to other apps, she can order you an Uber or a Domino's, and being an Amazon product she can also buy items when you ask. Through the iOS and Android smartphone app, Alexa can be configured to control a huge range of smart home devices. These can then be grouped into rooms and made a part of 'routines'. This means you can, for example, say: "Alexa, goodnight" and she will switch the lights off, turn down the heating and lock the door. You could also set Alexa to switch your lights on gradually, turn up the heating, open the blinds, read the news headlines, and switch on your connected coffee machine at 7am every weekday morning. The second-generation Amazon Echo is available in five different finishes, including charcoal fabric, heather gray fabric, sandstone fabric, oak, and walnut. A blue glowing light sits on top of the Echo to let you know when Alexa is listening and speaking. This turns red when the microphone is muted (by pressing a button on top of the speaker) and green when the Echo's listen-in feature is activated, where multiple Echos can be used as a household intercom system. The Echo has a 1.5-inch woofer speaker and a 0.8-inch tweeter, with Dolby sound technology that Amazon says is "room-filling". Naturally, this depends on the size of your room, and while the Echo is fine for daily use, you might want to hook it up to something bigger for a party - which you can do via Bluetooth or the Echo's 3.5mm auxiliary port. This speaker is powered by a wall outlet (no battery here) and measures 4.1 x 3.8 x 3.6 inches. The Echo weighs 14.8oz. The cheapest way to get Alexa in your life, the Echo Dot is a hockey-puck sized speaker which is powered from a wall outlet and features the same blue light as the larger Echo. It also has the same four buttons (volume up and down, plus a button to mute the microphone and one to make Alexa listen if you don't want to say her name). The Echo Dot has just a single speaker inside, a small 0.6-inch woofer which is only really suitable for hearing Alexa's voice, and perhaps talk radio. 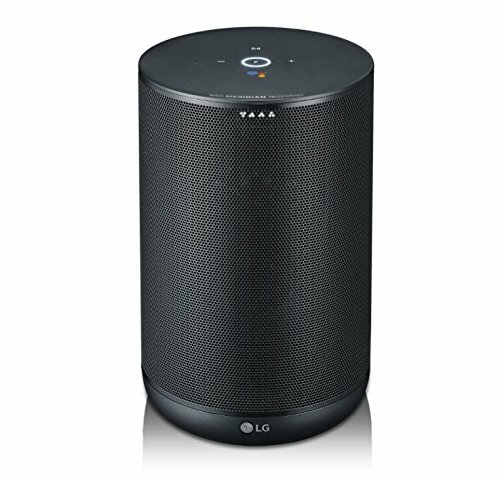 Music playback is quite poor from the Echo Dot, so connecting it to a larger speaker via Bluetooth or a 3.5mm auxiliary cable is recommended. Alexa on the Echo Dot is identical to the Alexa on other Echo speakers, which means she performs in the same way, has the same level of intelligence, the same features and functions, and interacts with smart home devices in the same way. The Echo Dot measures 1.3 x 3.3 x 3.3 inches and weighs 5.7oz. Read our review of Echo Dot 2016 here. Or you can check out our review of Echo Dot 2018 here. The newest member of the Echo family comes with a rubberized case to protect it, and a year's subscription to FreeTime Unlimited. This Amazon service includes access to kids' audiobooks and games, plus premium Disney-themed Alexa skills aimed at children. The Alexa of this Echo is designed to be more responsive when spoken to by children - and it even asks them to say 'please'. The Echo Plus is very similar to the second-generation Echo, apart from it is taller 9.2 inches vs 5.8, a little heavier, finished in plastic instead of fabric or wood, has a slightly larger tweeter, and is the only Echo device which can talk directly to Zigbee smart home devices. This means that products like Philips Hue light bulbs and Yale smart locks can be controlled directly by the Alexa of an Echo Plus without the need for a hub or bridge, which is normally used as a middleman, connecting to your router and sending messages to and from the bulb or lock. 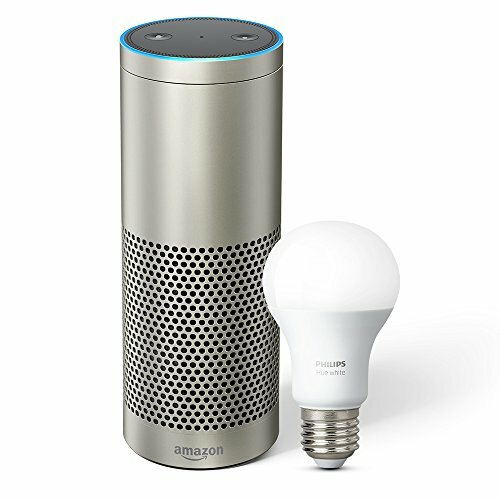 In the case of Hue bulbs, this means Alexa on an Echo Plus can control the bulb without you needing to purchase the $60 Hue Bridge. However, Alexa cannot offer the same breadth of features this way, so the benefits don't really stack up. If you plan on installing more than two Hue bulbs in your home, you should go for the $170 Hue starter kit, which comes with four bulbs and a bridge - which means it can be controlled fully with a regular Echo, like the $50 Dot. This is the only battery-powered Amazon Echo devices and is designed to be used outside, primarily as a music speaker. 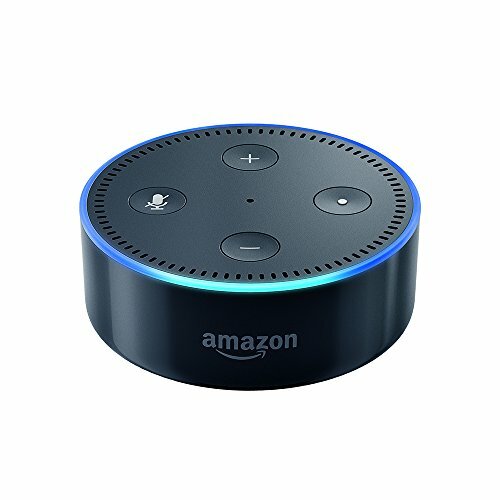 Alexa does not listen on the Ech Tap until you press (or tap) the device. Amazon says the Tap can play music continuously for nine hours before it needs charging, and it can be bought with one of six colored rubber cases. This is the most expensive Echo device currently on sale, and features a 7-inch screen for watching video content from Amazon Video and engaging more with Alexa. The Show also has dual two-inch speakers and eight microphones to ensure Alexa hears what you are saying when you ask for her attention. Alexa Skills from CNN Uber, AllRecipes and OpeTable all take advantage of the screen, showing more information than would be available by voice alone. The screen can also be used to browse Amazon and buy products. A camera means you can use the Echo Show as a video chatting device; just ask Alexa to make the call and you'll be connected to your Show-owning friend. The Echo Show can be connected to other speaker via Bluetooth, but is the only Echo device which does not have an auxiliary port. The Show measures 7.4 x 7.4 x 3.5 inches and weighs in at 41oz. You should think of the Echo Spot as a bedside alarm clock for modern smart home. It has circular display measuring 2.5 inches across, so while it can be used to watch video, it is more likely to be used for showing the time and other simple widgets (like the weather or news headlines) than a TV show or movie. The Echo Spot has a camera and can be used for video calls, but we wouldn't be surprised if some readers think installing a webcam on a device intended to sit at your bedside is...uncomfortable. The compact Spot measures 4.1 x 3.8 x 3.6 inches and weighs 14.8oz. This speaker takes the networking functions Sonos is already famous for, and throws in Amazon Alexa. This produces a compact speaker which has excellent, room-filling sound quality, the ability to stream music, audiobooks, radio stations and podcasts from over 80 different services, and a system for adjusting its sound based on where it is located. During setup, you are asked to walk around the room with your smartphone, which acts as a microphone while the Sonos One plays a range of test sounds. This calibrates the speaker to the acoustics of its exact location. This all sounds great - literally - but there is a caveat. The Alexa here is not quite the same as the Alexa found on Echo devices. It has the same voice and broadly the same intelligence - it can still control your smart home devices - but it cannot perform certain functions. For example, Amazon's drop-in intercom feature is not available, and nor is the option to call up a friend on their Echo device. 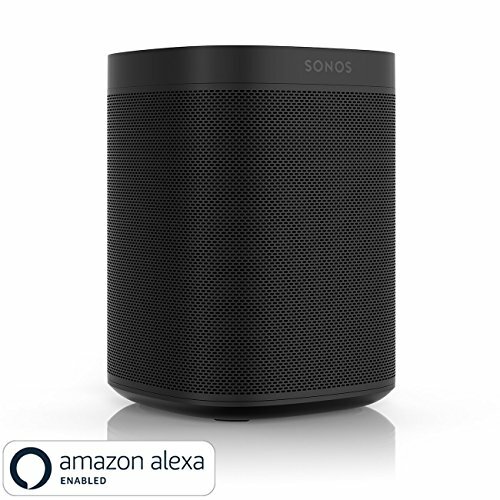 There are also limitations in how the Sonos can be grouped in the Alexa app, and how it functions as part of an Alexa routine. Sonos has said the One will soon get Google Assistant too, but this has yet to become a reality. The One measures 4.7 x 4.7 x 6.3 inches and weighs 64oz. With its Star Trek-esque design, the semi-transparent Allure is a speaker by Harman Kardon which includes Alexa. The circular array of three, 1.5-inch speakers above a 3.5-inch woofer produces a 360-degree sound with plenty of volume and bass, and while using Alexa to play music is convenient, here she can only play music from Amazon Music. If you normally use Spotify, then you have to stream that from your phone over Wi-Fi to the speaker. Away from music, Alexa on the Allure can interact with your smart home devices, set reminders, and perform all of the functions she can on other third-party devices, like the Sonos One above. Arch rival to Amazon Alexa is Google Assistant, which works in a very similar way but can harness the power of Google to answer your general knowledge questions more successfully. Google Assistant can also look up information like flight times and prices, then set up an email alert to nudge you every time the price changes. Google Assistant can talk to a similarly broad range of smart home devices as Alexa, and devices can be split into groups (or rooms) in a similar fashion. In our experience, we have found Google Home devices are far less susceptible to false positives (where it mistakenly hears itself and starts talking) than Amazon Echo devices. The assistant can also play music in the same way Alexa can, and when hooked up to a Chromecast device, can play content on your television. Google Home devices are controlled by saying "Okay Google" or "Hey Google" then asking a question or giving an instruction. Music playback can be controlled by voice, or by tapping the top of the Home to play/pause, and swipe to change volume. The Home comes in white with a gray fabric cover on its lower half, but this can be swapped for alternatives sold in coral, black or copper. The device produces sound with a two-inch active driver and dual two-inch passive radiators, and there is Bluetooth for connecting a speaker of your own. There is no 3.5mm auxiliary output. The Home measures 3.8 inches in diameter and is 6.6 inches tall. It weighs just over 16oz. The Home Mini is a direct rival to the Echo Dot. It is roughly the same size and weight, and can be connected to a larger speaker over Bluetooth (although there is no 3.5mm output). Although you won't want to throw a party with it, the loudness and quality from the Home Mini's 1.6-inch driver is better than the Dot's. We use ours for listening to the radio at our desk, whereas we wouldn't do this with the inferior Dot. As with Alexa on Echo devices, the intelligence of Google Assistant and the features on offer are identical on every Home smart speaker. The Home Mini has four lights hidden beneath its fabric shell to show the volume level and when it is listening (or muted, which is done with a switch on the back). The device's volume can be adjusted by speaking to it, or by tapping on the right or left to raise or lower the level. The Home Mini is 3.9 inches in diameter, 1.7 inches tall and weighs 6.1oz. It is available in black, gray and coral. Google's flagship smart speaker is a large boombox-like unit with two 4.5-inch woofers and two 0.7-inch tweeters. It can be paired over Wi-Fi with another Max to create a stereo pair, but for most users we suspect one on its own will prove sufficient. Apart from superior loudness and sound quality, the Home Max has exactly the same smartness and feature set as its smaller siblings. The Max measures in at 13.2 x 7.4 x 6.0 inches and weighs almost 190oz. One of the first third-party speakers to include Google Assistant, this Sony shares a lot aesthetically with the Apple HomePod. It is a cylindrical smart speaker which measures 4.3 inches across and is 6.4 inches tall, while weighing 26.5oz. As with Alexa on third-party speakers, Google Assistant on this Sony is limited in its functionality. Making phone calls, for example, is not possible. However, Chromecast support means you can ask the speaker to play content (from Netflix, Youtube, Spotify etc) on a television with its own Chromecast dongle attached. Although LG is working on making its own smart home ecosystem with its new ThinQ brand, the WK7 speaker relies on Google Assistant for its intelligence. Much like the Sony above, Google Assistant gives the LG the ability to answer your questions, play music, and control smart home devices. The speaker measures 5.2 x 8.3 x 5.3 inches and weighs 67oz. Built-in Chromecast support means you can ask the speaker to play content on other Chromecast devices - like other speakers throughout the house, or on a TV with a Chromecast dongle. Finally, we have Siri. The original voice assistant has fallen behind in recent years as Amazon and Google have locked horns over control of our smart homes. Siri on the iPhone and iPad can perform a range of smart home tasks through Apple's HomeKit platform. This includes controlling lights, operating motorized window blinds, adjusting the thermostat and more. However, for now at least, Siri on Apple's smart speaker, the HomePod, is limited. The HomePod has a lot of weight on its shoulders when it launched in 2017. It was expected to be a counterstrike against the dominant Echo and Google Home speakers. And, while it came out of the blocks with impressive sound quality and an ability to hear you clearly no matter how loud music is playing, it's intelligence fell short. Siri cannot yet interact with your calendar, ask follow-up questions, or even run multiple timers at once - a key skill Alexa has to help in the kitchen. HomePod cannot make phone calls, and tests have shown just how far behind the competition Apple's smart speaker is. Apple might well improve Siri and the HomePod with software updates, but for now it lags behind its cheaper, more capable rivals.